Perusing the news this morning I was trying to think of something that I cared even less about than the recent "coming out" of former George W. Bush aide Ken Mehlman. I searched and searched for something I thought was more insignificant to no avail. Many say that Mehlman's involvement in Bush's re-election campaign in 2004 (involvement is a soft word for it, he ran the re-election campaign) shows that he is a hypocrite. Here's why I don't completely buy the hypocrite argument (I can be swayed on this one). To begin with, it's politics; nearly everybody is a hypocrite. His job was to get Bush elected, which he did. If that means having Bush condemn gay marriage, then so be it. Who knows, Mehlman may have possibly argued with W. over the issue. Unless someone is their own employer, very rarely do employees agree with every thing that their boss/company does. 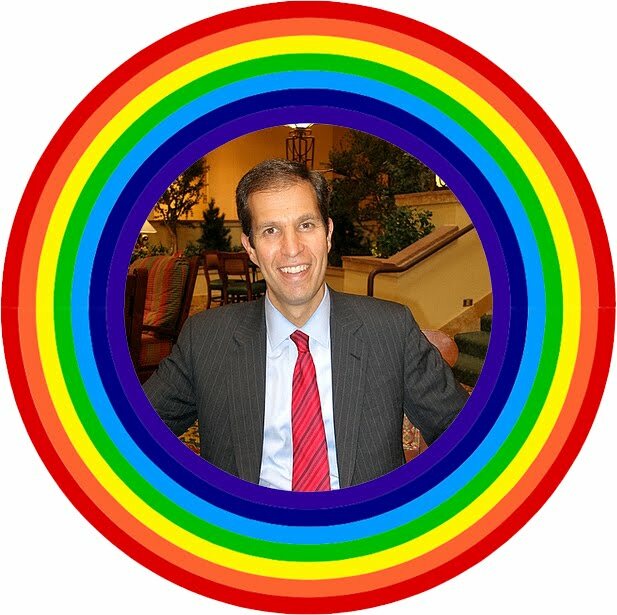 Mehlman could have seen other facets of Bush's agenda as more important than gay marriage. Or he could be a total hypocrite, I simply don't know. Secondly (and this is my main point of the post), to definitively believe that Mehlman is a hypocrite we have to define Mehlman through his homosexuality. This is one point that I find very irritating about society's treatment of homosexuality; it feels that because someone is gay that they have to be defined through a lens of gayness. Are you a professional athlete whose entire life has been devoted to your sport but happen to be attracted to men? Oh, you're the gay basketball player, not the basketball player who happens to be gay. Are you a great newscaster whose stories have been eye-opening, but happen to be homosexual? Oh, you're the gay newscaster. This belief that homosexuals should be identified first through through homosexuality, then through whatever else they define themselves as is simply an assumption not based in fact. The reason that no one really cares about which gender Mehlman likes to go to bed with is not because of the two wars we're fighting, it's not the fiscal crisis this country cannot shake itself from, it's simply because people do not care. Was what Mehlman did during Bush's re-election campaign laudable? Hardly, but then again politics in general offers little to rejoice over. Mehlman is not the first person to do something seemingly against their interests, and he will not be the last. But I think denouncing Mehlman as a hypocrite is a little harsh. Maybe recovering hypocrite (he plans to champion the cause of gay marriage and a former Bush aide might be able to draw other conservatives into the movement). I, for one, am not surprised that there are homosexuals in every aspect of our society, the same way I'm not surprised that there are heterosexuals in every aspect of society. The less we begin to care about one's sexual orientation and the more we recognize its immutability, the better off we will be as a society.